7 Simple Ways To Use Besan For That Gorgeous Bridal Glow! 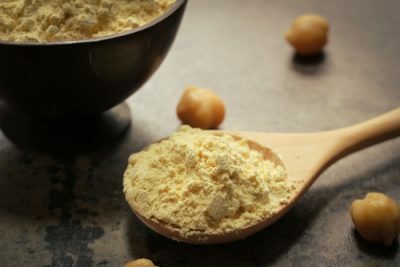 Besan, or gram flour, is a common ingredient used in Indian food. The flour is made by grinding dried chickpeas. It’s a common substitute for eggs in a vegetarian diet because besan is rich in protein, fiber and gluten-free. All the yummy Indian snacks - bhajiyas, pakodas, chillas, dhoklas and vadas are made using besan. 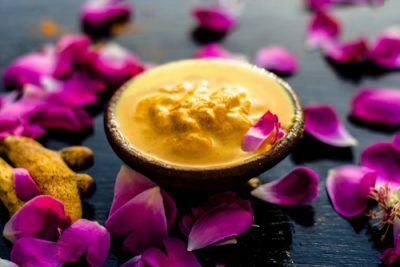 Little did we know, besan is also one of the oldest home remedies for any and every skin ailment you can think of. Your grandmother used it, your mom used it and you should absolutely be using it too. Did your skin get a little sunburnt after your last vacay? Spent a lot of time walking around in the sun without using any sunblock? The answer ladies is right in your kitchen. Use a quick and easy homemade besan face pack to get rid of tan. Combine besan with a brightening ingredient like orange peel powder, milk or lemon juice and watch your tan fade away. Orange peel and lemon juice are packed with vitamin C that helps brighten your skin. Milk is rich in lactic acid which helps exfoliate your skin while brightening it! Is your skin feeling a little dull and sallow? Maybe it’s clogged with dead skin cells and dry skin and you just don’t know. Regularly using besan in your skincare regime is a sure shot way to bring back your skin’s glow. It helps to exfoliate your skin gently but effectively. If you have an oily, acne prone skin, besan might just be the answer to all your oil blotting sheets. Excessive oiliness on the skin can trigger your sebaceous glands into working overtime. As a result, acne, clogged pores and blackheads and whiteheads form, making your skin look bumpy and greasy. Besan has wonderful oil regulating properties that deeply cleanse your skin and reset your pores by fixing the Ph balance. A face pack made with besan will deep cleanse your skin, help get rid of excessive oiliness and fight acne-causing bacteria. Remember when you were younger and your grandmother would rub your skin with a mixture fondly known as ubtan? This age-old Indian tradition has more than meets the eye. With regular use, besan helps get rid of fine body hair. While there’s no scientific evidence that proves that besan is as an effective way to get rid of body hair, but our Indian grandmothers swear by it. Apply a paste of besan and turmeric to your skin, let it dry before rubbing it off in the opposite direction. Because of its texture, the paste clings to fine hair and pulls it out from the root. The concept is similar to waxing. 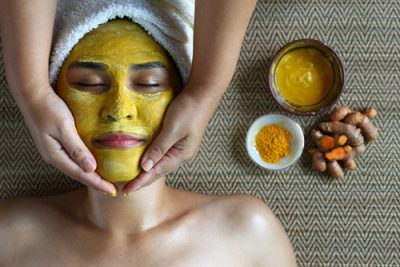 Turmeric helps to brighten your skin and reduce hair growth while also acting as an anti-inflammatory. Therefore with regular use, this home remedy helps get rid of fine hair! But don’t expect miracles overnight, you really have to commit and use this daily to keep your body soft, glowy and hair-free. 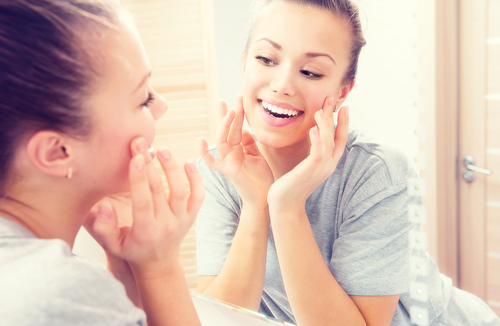 Believe it or not, besan is not only helpful in getting rid of oily skin. This wonderful powder helps your skin stay soft and supple. Mixed with ingredients like milk, yoghurt or honey, besan also helps moisturise skin while keeping it oil free. Besan has zinc in it and since that helps control sebum production, it helps you get rid of acne and keeps your skin spot free. Combined with turmeric powder, besan is a force of nature. No acne, blemishes or blackheads stand a chance. Here are 7 easy and effective besan home remedies that can help you get radiant skin. Whether you’re the bride-to-be, the bridesmaid or simply someone in need of a little skincare - we’re sure these will help you shine brighter than the lights this season! Here are a few home remedies and recipes for face packs using besan. Take two spoons of besan and add a few drops of lemon juice and rose water to it. Sprinkle just a pinch of turmeric powder and mix it all well. Apply the paste generously on the tanned parts of your body. Let it sit for 20 minutes or until dry. Wash it off when it dries up. Do this every day till you get rid of that stubborn tan completely. Mix two spoons of besan, one spoon of sandalwood powder and some lemon juice. Apply the magic paste on your face and neck in an even layer. Wash away when it dries. This paste can be applied as often as possible, it has no side effects. With regular use, you can put aside that highlighter and all those sheet masks. This au naturale glow recipe is going to give you the skin of your dreams! If you have dry skin, make sure you moisturise after washing this off. Add a pinch of turmeric powder to one spoon of besan and one spoon of fenugreek powder. Make a thick paste by adding filtered water. Apply the paste on the hairy areas. Allow it to dry until it’s about 70% dry. Now, you need to rub it in upward, circular motions. This might hurt a little as it pulls your hair out of the root. You can premix the dry ingredients and store them in a clean dry container in your washroom. Use this paste no more than twice a week and you’ll see your body hair disappear in a few weeks! You can use this mixture on your hands, legs and back too. If you have sensitive skin, do a patch test to see how your skin reacts. Make a paste by adding some raw milk to two spoons of besan. Apply this mixture on your dry skin and let it sit on your skin for half an hour. Wash it off with lukewarm water. You will instantly see the results as your skin will feel bright, soft and nourished. Do this once a week for best results. 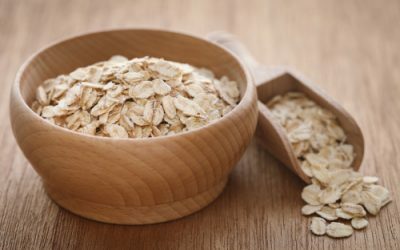 Take one spoon of besan, one spoon of oatmeal powder, a few drops of lemon juice and a few drops of honey. Mix them all well and apply on your face and neck. You can even make this in a larger quantity to use it on your body. Let it stay till it dries and hardens a bit. Scrub it off by massaging your skin lightly. 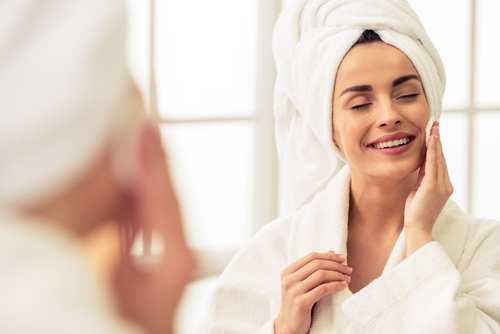 Do this once a week and you can say goodbye to dry skin once and for all! One spoon of besan, one spoon of Multani mitti and some rose water - this is all you need to get rid of that annoying oiliness. 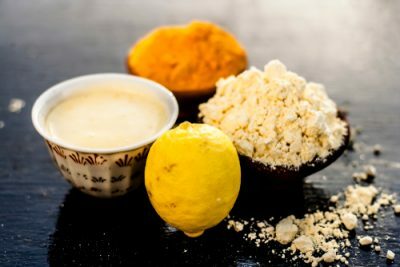 Besan and Multani mitti both, help deep cleanse and exfoliate your skin, they go deep into your pores and draws out any dirt, oil and impurities while getting rid of acne, blemishes and dull skin! Apply this paste on your face and wash it off after 20-30 minutes. Do it once a week. Apply a lightweight moisturiser like aloe vera gel once you wash it off. Combine take two spoons of besan and 1 spoon of turmeric powder and add filtered water to it. Make a paste and apply it directly on the acne or a pimple with the help of a Q-tip. You can apply this to your entire face too. Leave it on for 20 minutes and rinse with lukewarm water. Just be warned that when you use this much turmeric, it will stain your skin. So the best time to do this would be at night when you don’t have anywhere to go. And use an old pillowcase to avoid turmeric stains on fancy bed linen. You can reduce the quantity of turmeric to suit your need.